This week Bright House Networks, Cablevision, Comcast, Cox Communications and Time Warner have partnered to offer free WiFi to company subscribers. The service will be called "CableWiFi" (Also the SSID name). According to the Press release the participating cable operators currently offer more than 50,000 WiFi hotspots located in New York City and the surrounding Tri-State area, Los Angeles, Tampa, Orlando, and Philadelphia. The operators plan to continue to grow the number of WiFi hotspots and expand into several additional cities. The CableWiFi network has both indoor and outdoor WiFi hotspots located in popular, high traffic locations, such as shopping districts, cafes, malls, arenas, restaurants, parks and beaches. 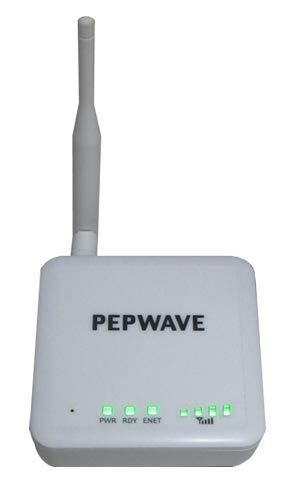 If you find yourself outside the range of "CableWiFi" you can easily add a Pepwave Surf Mini, which will allow you to boost the WiFi signal so you can surf further from the hotspot. After the Pepwave finds the network all you need to do is enter your ISP credentials and you'll soon be able to take advantage of that free WiFi service away from home! This network extender is an easy way to share connectivity off a public hotspot so other family members or friends can also enjoy WiFi access.